We had dinner at Pancake House last week. Pancake House is one of our favorite restaurants because we like their food. 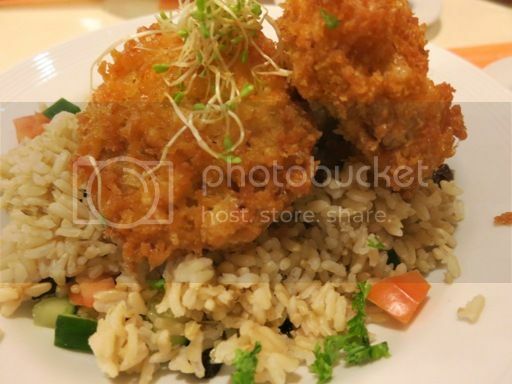 We ordered Classic Country Medley, Spicy Chicken Fillet with Brown Rice Pilaf, Salmon Cakes with Brown Rice Tabbouleh and Spaghetti with Meat Sauce. This was hubby’s order. He finished this in no time, which only means one thing: he enjoyed it! According to dictionary.com, “tabbouleh” is “a salad of fine-ground bulgur, parsley, tomatoes, green onions, mint, olive oil, and lemon juice.” I ordered this because I wanted something healthy. Brown rice is rich in fiber, while salmon is rich in omega-3. My verdict: I liked that the salmon cakes were thick and crunchy. However, the salmon cakes were a bit bland, but they become flavorful if you put dill mayonnaise on them. It might also take a while before I would get used to the taste of brown rice, but I managed to eat most of it. 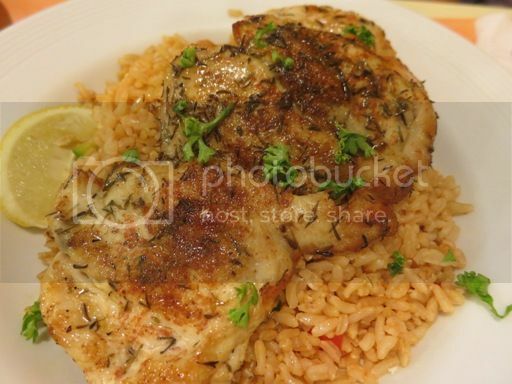 We ordered this for Justin’s yaya, but I got to taste everything on her plate before she could even take a bite. I should have ordered this for myself. Why? Because the chicken was tasty, even without the garlic cream mayo, plus the brown rice pilaf was yummy. Our son enjoyed this spaghetti very much. I took a spoonful of this and understood why my little boy was raving about it. The taste was quite different from the usual spaghetti I’ve had in other restaurants or I’ve cooked at home. It must have something to do with the sauce; it was delicious! Except for my brown rice, everything else was appetizing. This means we’re going back here again. This entry was posted in American Cuisine, Filipino Cuisine, Food Friday, Food Trip Friday, Pancake House, Restaurant Review, Robinsons Galleria. Bookmark the permalink. 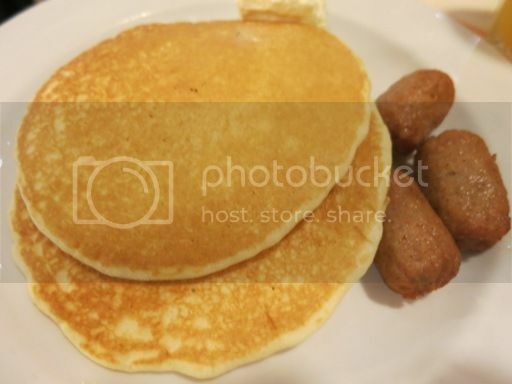 I’ve always liked Pancake House… now craving! 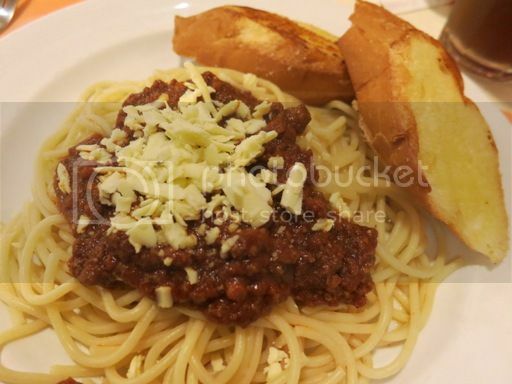 Love their spaghetti w/ meat sauce aside from the pancakes! I wanna try the spicy chicken.. my friends said it’s good nga. oooh, we love eating at Pancake House, too! Yummy choices! we almost always order their Classic Country Medley, lol. haven’t tried their spaghetti though…sounds like I should, next time! i’m also a suki of Pancake House, especially their branch at the Medical City. pancakes and waffles are my comfort food after a trip to the clinic. the salmon cakes look delish–will try that next time. We’ve never been to pancake house yet since we came here.look likes they have a great selection!